UnityLink Financial Services have partnered with The Change Account for provision of a fully functional transactional banking account and debit card to all its valued customers. This account offers our customers the easiest way and the most secure payment method to pay for goods and services. Simply transfer money to your Change Account and use your Change Account Debit Card to enjoy services such as sending money to loved ones, withdrawing cash from any ATM worldwide, make in store and online purchases at home and abroad, check your balance 24/7 and manage your account online. Our card account offers our customers, who do not have a bank account or who are finding it difficult to open a bank account, the chance to have an account and enjoy the services. What is Change Account at a Glance. 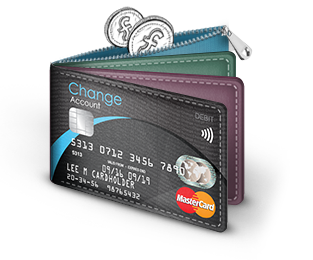 Change account is a prepaid individual/joint Debit Mastercard account which can be used to pay for goods and services online, in store and withdraw cash at any participation ATM worldwide.